About JewishGen.org JewishGen serves as the global home for Jewish genealogy. Featuring unparalleled access to 30+ million records, it offers unique search tools, along with opportunities for researchers to connect with others who share similar interests. Award winning resources such as the Family Finder, Discussion Groups, and ViewMate, are relied upon by thousands each day. In addition, JewishGen’s extensive informational, educational and historical offerings, such as the Jewish Communities Database, Yizkor Book translations, InfoFiles, and KehilaLinks, provide critical insights, first-hand accounts, and context about Jewish communal and familial life throughout the world. 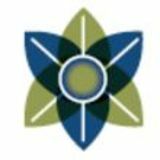 Offered as a free resource, JewishGen.org has facilitated thousands of family connections and success stories, and is currently engaged in an intensive expansion effort that will bring many more records, tools, and resources to its collections. For more information, and to get started with your research, please visit www.JewishGen.org. and personal risk (Mesirat Nefesh) Jews took to observe Passover during the Holocaust. As you sit at the Seder table this Passover, and tell the story of the Exodus, we hope that this companion will have helped inspire you to uncover your own story as well, and to consider the role you will play in ensuring its transmission to the next generation. Finally, when reciting “we were once strangers in the land of Egypt” – take heed of the countless examples of kindness, faith, compassion, and hope, which are described within this Passover Companion. Let us remember that oppression still continues to this day, and that our mandate to show compassion for the “strangers,” and downtrodden, applies both within our community, and to all mankind. 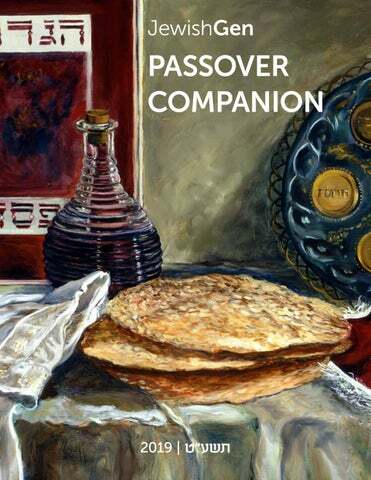 I would like to thank Lance Ackerfeld for coordinating the JewishGen Yizkor Book project, Joel Alpert for ensuring hard-copies are available to those who are interested, Nancy Siegel, Nolan Altman, Bruce Drake, Anne Vaccari and Karen Franklin for their assistance in compiling this Passover Companion, and to all of the JewishGen volunteers who help ensure that our Jewish history and heritage will never be forgotten. The following excerpt from the Yizkor Book of Antopol, Belarus, was written by Moshe Polak. Antopol had a long history of Jewish settlement and scholarship and many great Rabbis, including Rabbi Moshe Soloveichik (later of Yeshiva University), served the the community over time. In this piece, the author describes the youthful excitement that permeated the air leading up to the Passover holiday. Antopol was in the Grodno province before WWI, and was in Poland between the wars. In 1900, there were 3,137 Jews living in the town, comprising a majority of the population. Located 46 miles from Brest, Antopol was annexed to the new Poland formed after WWI, and soon became a center of fighting between the Russians and Poles. The Russians took over Antopol toward the beginning of WWII, and held it until the Nazis overtook the town in June 1941. Under the Nazis, “the Jews of Antopol were persecuted, tortured, and imprisoned in a ghetto, but they did not surrender. They fought back, joined the partisans and took an active part in the underground.” In July 1944, the Red Army reconquered Antopol, but her Jews were no more. Thus came an end to more than three centuries of Jewish life in Antopol. and with the aid of a burning candle, we would search out the crumbs so that we could recite the blessing of taking out the leaven and then burn the leaven. I would buy the haroset (the mixture of fruits, spices, and wine) from the rabbi R. Hersh. I would dig in the garden of Tikhan for a radish to make the bitter herb. I would buy wine from Yosel Shemuel Rsiles for the study hall. And afterwards, I would help my father to completely clean the study hall in honor of Passover. After that, we would run to town to see that the eruv (symbolic enclosure) was complete and finally go to the bathhouse to get a bath in honor of Passover. The following excerpt from the Yizkor Book of Bender, Moldova, was written by David Weiser. Located 31 miles away from Kishinev, this major Jewish community had more than 10,000 Jews in 1900. Prior to WWII, the town had 18 synagogues, a Jewish hospital, a seniors residence, several schools, kindergarten classes, a Talmud Torah and a Hebrew High School. In 1941, when the Nazis invaded Russia, thousands of Jews were able to escape deep into Russia, and many Jews from Bender were among them. According to Rabbi Shmuel Bronfman, who studied in Beit Midrash of Bender prior to the Shoah and also served as a rabbi there between 19451960, the Jews of Bender were more fortunate than others in that it was easier for them to escape, but there were still several hundred victims of Nazi persecution. OUR town was blessed with the publication of two newspapers that honestly reflected life in our community and in the Jewish Diaspora. These were: Bessarabski Telegraph (Bessarabia Telegraph) and Yuzni Krai (Southern Corner). There was a reporter who wrote under the name of “Yurick.” He was a sharp guy, a good listener with penetrating eyes. He was aware of all that was near and far and knew about different peoples and various languages. Nothing escaped his attention and we tell a story about him: On the eve of Passover the community leaders levied a tax on the wealthier members to help needier members. It was Maot Hitin (kamkha depaskha). Anonymous (I deliberately do not mention his name since he passed away many years ago), refused to donate saying: “The amount I was ordered to pay is slightly exaggerated.” These words reached Yurick and he wrote a scathing article denouncing Anonymous. At the end he added “It is easier to put Mr. Kradonsky, owner of the cinema “Decadence” through the eye of a needle than to receive a donation from him.” The matter was settled in a positive way. Kradonsky complained that he was not as heavy and large as described by Yurick. He said he only weighed about 150 kgs. Known as the “Jerusalem of Galicia,” Brody had a Jewish presence extending more than four centuries. It was known as a center for Torah scholarship, the Haskala (Jewish Enlightenment) movement, cultural programs and activities. It is reported that the founder of Hasidism, Rabbi Yisroel ben Eliezer (Baal Shem Tov), spent time in Brody in his early 20’s. During its peak in the 18th century, Brody was considered to have one of the largest Jewish communities (in proportion to its general population) in Eastern Europe. The following excerpt, which describes the steps taken to help Brody citizens with Passover related provisions, was authored by Mrs. Adele Mises around 1929. Brody is located 54 miles from Lviv, and 42 miles from Ternopil (Tarnopol). Prior to WWI, the town was in Austrian Galicia, and then part of Poland, between the wars. In 1880, more than 15,000 Jews were recorded as living in the town, while in 1910 that number dropped to a little less than 13,000. In 1943 the remaining Jews of Brody who still lived in the town were deported to extermination camps. By the time the town was liberated by the Russian Red Army on July 7, 1944, there were very few Jews left who had survived and would return to the town. In 1948, the Soviet Union published a booklet commemorating the 900th anniversary of Brody’s establishment, yet with barely a mention of Brody’s Jewish history. Readers would have been hard-pressed to know that Jews had ever lived in the town at all. Jewish Brody was no more. Ukrainians from Brody, and the Jews they hid during the Shoah. Evidence of Jewish settlement in Brichany, Moldova (which was in Romania between the wars), dates back to 1760, when Jews were invited by local estate owners to settle there and participate in the town’s economic development. Over time, the Jewish community would represent the overwhelming population of the town. In 1897, the 7,184 Jews of Brichany represented 96.5% of the overall population. In 1930, Jews still represented 95.2% of the population, and by 1940, more than 10,000 Jews were recorded as living in the town. After the Shoah, approximately 1,000 Brichany Jews returned, and tried to once again create a Jewish way of life. A local priest returned Torah scrolls which he had hidden in his attic during the War. Soon, daily prayers resumed in the Synagogue. The Jews of Brichany lived on. As of 2004, there are still more than 50 Jews who live in the town. The following excerpt was written by Shloime Lerner, and includes a discussion about efforts to raise funds for Maot Chitim (charity for the poor who could not afford to purchase matzoh and other Passover provisions). However, it was not always simple. One time, in an effort to save time, costs, and resources, there was a discussion about using machine-made matzos, which were said to have been “miraculously wondrous, better, tastier, more hygienic, and more flavorful than the conventional matzos that were rolled and kneaded by hand.” That would solve a host of problems, not the least of which was easing the burden of those who otherwise had to work “12–14 hours and then around the clock for four weeks.” But it had its complications too: How to get the approval of the rabbis? This piece includes Shloime Learner’s take on the issue, along with a comment from Yakov Amitzur, which was appended to the original article. I remember an episode that is very typical of the time, and it is worth telling. Among the members of the committee was Dr. Fajnberg. A very dear Jew, even though a little assimilated. He was an administrator at the Jewish hospital. He was a good Zionist, and was even a delegate at the second or third Basel congress. The Old Talmud Torah of Brichany, established in 1826. When Dr. Fajnberg had to go to town to collect money for Maos Khitim, Yosi Phinjes lent him a wagon and wagon driver, Khaim “Zawarukhe” [“storm”], a small, skinny little Jew, who was a coachman for the wealthy wagon drivers and was promoted to be a wagon driver for Yosi Phinjes. group of younger and middle–aged devoted community activists threw themselves into the job. Understandably, not for any particular reward. From that time on, Britshan made a profit from making machine matzos for Passover. The poor were taken care of, not only with matzos, but also with the four cups of wine, eggs, fat, and so on. The factory provided for everyone. The following note was written by Yakov Amitzur, and appended to the original article: In writing that “Our rabbis were concerned that they would forfeit their earnings,” Shloime Lerner makes a great error. It’s possible that the Maskilim of the time actually thought that, and maybe they simply made that remark in order to rile up the rabbis. “Holidays were given to man in order that he should be with himself, with his thoughts and with his people,” writes Rabbi Aharon Ben–Zion Shurin, author of the following excerpt from the Yizkor Book of Rietavas, Lithuania. The remembrance of Passover in Rietavas tells of the ritual and celebration of the holiday, but also includes an “unforgettable” Passover eve when the community was thrown into “fear and panic” because of an event very similar to the one that led to the 1905 pogroms in Kishinev, Moldavia. A gentile boy went missing and Jews faced a “blood libel” — that the blood of the lost child had been used for the baking of their matzo. Through a “miracle,” the boy was found and tragedy averted and the community could go on to celebrate Lag Ba’Omer and then Shavout which “carried the true grace of the awakening of nature” when “the earth would grow flowers and grass. The trees would blossom and the birds would sing.” The first known record of Jewish life in Rietavas, which is located 21 miles from Telz, dates to 1662, when 421 Jews were said to have lived in the town. By 1897, the Jewish community comprised 1,397 people, representing 80% of the overall population. When the Nazis invaded, they committed horrific atrocities, some of which are documented in the Yizkor book. By the time the war ended, only 30 Jews had survived. WE already began preparing the drinks for Passover before Purim. We usually prepared raisin wine. But there was another drink – mead. And what was special about it? It wasn’t made with yeast. Yeast at Passover? Absolutely forbidden! That is why they used hops, which caused fermentation, and the drink was fit for a king! The Gentiles, who are known as lovers of wine, were happy to be offered this drink. During peaceful times, every Jew had a Gentile whom he would serve mead and matzos. The “King of the Matzos” was Zuske Levitt. Dusiat Elementary School – Second and Third Grade Classes. July 18, 1921. He would hurry to put the dough in the oven, lest it sour, and would hurry to take it out, lest it burn… We, the young children, volunteered to help him roll out the dough and to prick holes. I remember that we were afraid to breathe a word because he set about so intensely at his work. I recall taking down the dishes, the Passover dishes, from the attic. For Passover we used the prettiest dishes, and to me they were dishes fit for royalty. The glass sparkled like crystal, the cutlery was polished to a shine, and on the table were seven tablecloths, one on top of the other, for fear that there might be the residue of hametz – leavened bread or any food not kosher for Pesach… For the Bdikat Hametz – the symbolic search for the last crumbs of leavened bread – my mother would place some breadcrumbs in different places in the house. The house was dark, and my father, with two feathers in his hand, would go from place to place by candlelight, searching and gathering the crumbs into a wooden spoon. The next morning they burned the leavened food.The absolute greatest joy was when everyone got new clothes. We would go outside and show them off. The following short-excerpt was recorded by Rabbi Shelomo Dov Ostreicher in his preface to ‘Nahlat Yoel Zeev’ and reprinted in the Yizkor Book of Královský Chlmec. It was a dark moment. As the Holocaust loomed, an old Jew died that night and the town’s rabbi delivered a Hesped (eulogy) – even though eulogies were not customarily delivered on the night before Passover. Královský Chlmec was part of Hungary prior to WWI and in Czechoslovakia between the wars. The first synagogue and Mikvah (ritual bath) was established in 1838, and by 1880, 311 Jews were recorded as living in the town. In 1944, the entire Jewish population of 970 people were forcibly transferred to the Sátoraljaújhely ghetto, and then to concentration camps. Only about 100 people survived. Rabbi, of blessed memory, found it proper to eulogize him, though no eulogy is delivered in the month of Nissan, particularly not on the Eve of Pesach. Our Rabbi considered it a temporary need and a necessity due to the then depressed situation. In his funeral oratory the Rabbi said, ‘How blessed is this Jew to be worthy of a Jewish burial now when, much to our distress, many of our brethren are not so privileged.’ All the participants burst into terrible weeping. Our Rabbi seemed to feel the terrible tragedy awaiting him and his brethren in Hungary. This happened less than two months before the deportations and the Holocaust, in which he and his people were killed in Auschwitz, and that without having a Jewish burial. The first Passover in the Camp of Deblin-Modzjitz Deblin-Modzjitz, Poland Jews found ways to celebrate the Passover meal even in the camps. This excerpt from the Yizkor Book of Deblin recounts how the director of the camp agreed to let its religious Jews eat kosher food during Passover — as long as everyone who wanted to participate came up with 120 zlotys. He was good to his word. Deblin-Modzjitz is located in central Poland, approximately 65 miles southeast of Warsaw. The name Modzjitz is well-known to the broader Jewish community, as a result of the well-known Taub rabbinic dynasty. Melodies composed by Rabbi Israel ben Samuel Elija Taub, the Modzjitz Rebbe, are sung throughout the Jewish world until this very day. There were 550 Jews recorded as living in the town in 1850. Before the Holocaust, there more than 3,300. After liberation in 1944, 82 survivors returned, but encountered fierce hostility and persecution. The remaining survivors left in 1945. The making of matzoh for Passover is a subject that can be found in many Yizkor Books, each with their own varied accounts. For one family in Bobrka, located in Eastern Galicia (today Western Ukraine), the process started three days before the holiday when the father roused everyone at 5 a.m. to start the task. When it was completed, they “drank a toast ‘l’chaim’” and “wished each other the privilege to bake matzohs again for years to come in the Land of Israel.” One of the oldest towns in Eastern Galicia, Bobrka (or Bóbrka, as it was known during Austrian, Polish and Soviet rule) was established in 1469, and Jews may have arrived as early as 1661. By 1900, there were 2,500 Jews in the town, comprising 47% of the overall population. The Nazis entered the town on July 2, 1941. The Jewish population of Bobrka, which had extended nearly four centuries, was nearly wiped out by March of 1943. THREE days before Passover when the house was whitewashed, after fresh straw was put in our beds, when the everyday dishes were scattered like orphans in the middle of the house and people were sitting on top of large cans, and we children were already tired of working and could barely stand on our feet, and our hands were already swollen from scrubbing the little bit of furniture, and when our eyes already longed for a little more sleep — just then our father woke us up at five o’clock in the morning so we could prepare to bake the matzohs. for Passover from his studies in Rome, Italy. This guest was a daily visitor in our house and my father immediately designated him the “pusher.” And so we began to work. The girls started banging with their rolling pins, there was a cheerful atmosphere in the house, we sang songs from the “Hashomer Hatzair” because all the co-workers belonged the youth movement and Chaim the water carrier was very happy and had a big smile spread all over his face. My father took over the piercing with the wheel and studies which is the perfectly round matzoh, and finds out that his daughter Hinde rolls out a perfectly round matzoh, as if it were cut out with a circle, and he shows the other girls how to roll out a matzoh. The pusher of the matzoh was hot and red-faced and his shovel ends up touching the pretty Yetke Gottlieb. “Help”, yells my father noticing this. “You bandit, you will contaminate my matzoh “(G-d forbid!). The crowd is smiling and the beautiful Yetke blushes a little. The day was gone before we realized it. There were a whole lot of matzohs baked. My father thought of all his relatives and matzohs that had been baked for them. Then, close to the end, we drank a toast “l’chaim”, and we wished each other the privilege to bake matzohs again for years to come in the Land of Israel. it to the bakery. The horses pushed the wagon from our house, through the Kanal, until the bridge next to the bathhouse. The precious cargo crossed the bridge over the Kanal Stream, and we arrived at the bakery. Mother and we children accompanied the wagon. to time, but the drink was already good and fitting to be served on the table of kings. We children did not put our hands into the plate. Rather, we surrounded Mother, cupping our hands and asking her if we could taste the steaming liquid. We drank it and praised the drink, for it was good. This was not Mother’s opinion, for she continued to cook and taste, and we continued to request and receive additional portions of this sweet, sweet drink. irregular times. We ate at times eating on a bookshelf and at times standing next to a table, all outside. After the hasty meal, we were free. What was demanded of us further? How good was it for us? How good was our lot. Splendor, Beauty, the Glory of the World The vacation was complete. The month of Nisan was the month between school semesters. G-d did a kindness for the school children, and the yoke of studies was lifted from them. We no longer sat in the closed cheder from morning until evening. We were able to enjoy the glory of the world. How many interesting, attractive things were there! The day shone down from hour to hour. Look up. The winter clouds have disappeared. The sun, which had hidden its face for weeks and months, appeared. It was bright and brilliant, warm and caressing. Look down. The white covering had melted and the earth was exposed. Puddles gathered on the ground, sparkling with the colors of the sun. Many images were scattered over the face of the earth. Pleasant aromas arose from it and spiced the air. How high was the sky! The firmament of the sky! It is blue! An azure sea atop your head. And a sea also beneath your feet. This was the small river that passed close to our house, the “Kanal Teichl” changed its form and became a mighty river. It had a meager flow all year, and now it overflowed all of its banks. Its quiet flow turned into a mighty, noisy stream. However they are not the only ones that arrived. Many birds of all types fill the sky with joyful chirping, a new song. There are so many of them! Who told them about the renewal of our world? Who told them about its return to life? From where did they appear? Indeed, they came from the lands of the south for the festival of spring and renewal, the time when our town is filled with song and melodies (of the matzo bakers, the house whitewashers, the children on vacation, with splendor in their eyes, songs in their ears, and desire for redemption in their hearts). They, the birds, tell me about our Land and our birthplace where we came from. The heart is filled with pangs of longing. If the joy of Passover is so great here, how great would our joy be if we celebrated it there, in our native Land. Oh, would it be soon! In the Synagogue The eve of Passover arrives. After bathing, we don our new clothes and new shoes. The sun is about to set. We walk with Father with deliberate steps to the synagogue, like the sons of kings with their king. People are streaming to the house of worship from all sides. The Great Synagogue is filled with joy and light. Thousands of candles light up this holy place. Thousands of bright eyes are lit up with the joy and happiness of the Festival of Freedom. The synagogue is filled with song and joy. Cantor Kaplan and his choir perform splendidly. The echoes of freedom emanate from their throats with wide hearts and clear intellect. The service ends, and the masses of Jews stream to their houses to conduct the Seder and tell about the Exodus from Egypt. There is a pleasant tumult in the streets. Light is planted along the entire route, bursting forth from the windows of the houses lit up with extra lights. The Maier Beis Midrash. It is said that its doors were never locked. The following excerpt from the Yizkor Book of Jedwabne, Poland, was written by Rabbi Chaim Yitzchak Greengrass, and describes how Jews imprisoned at Auschwitz-Birkenau managed to conduct a Seder. He writes: “The celebration of this Seder night left imprints on my soul. Now, when I perform the Passover service, I understand the meaning of the statement that each man in every generation is obliged to consider himself as if he personally was redeemed from slavery into freedom.” Jedwabne was in the Lomza province before WWI. In 1897, there were 1,941 Jews living in the town, which is located 11 miles from Lomza and 18 miles from Kolno. By 1940, that number had dwindled significantly. After the Nazis invaded in 1941, the town became infamous for the Jedwabne pogrom on July 10, 1941, when approximately 300 Jewish residents, men, women and children, were murdered and buried in two mass graves. The following day, the Nazis rounded up the remaining Jews and transported them to a ghetto. that the Maror (bitterness) that we suffered is due to the fact that we tried to run from one Galut (place of exile) to another Galut because we thought that what happened to our brethren yesterday will not reach us in the new places today. All night long we were discussing the history of our people and what we expected in the future and what would happen if some of us would come out alive. No one slept and all celebrated the Pesach the entire night with tears and hopes. The discussion did not end until the gong rang that it was time to get up and go to work. And as it rang, we wished each other that we live to come out of this hell and again celebrate the Passover as free people. The celebration of this Seder night left imprints on my soul. Now, when I perform the Passover service, I understand the meaning of the statement that each man in every generation is obliged to consider himself as if he personally was redeemed from slavery into freedom. I have some garments which I wore that Passover as a reminder of Moror, “ze sh’anu ochlim, al shum mah.” This garment that I keep, why? Because of the Holocaust that befell the Jewish People during World War II. Featuring more than 700 original artifacts from over 20 international institutions. There has never been a better time to discover your roots.